During the week of her wedding, Kilee Manulak’s fiancé cowardly dumped her through a text message. After a few days of grieving, the Florida woman decided to get rid of her wedding dress in a unique way. She did not sell it on eBay, nor did she fill it up with cockroaches and Fedex it to her ex’s workplace. 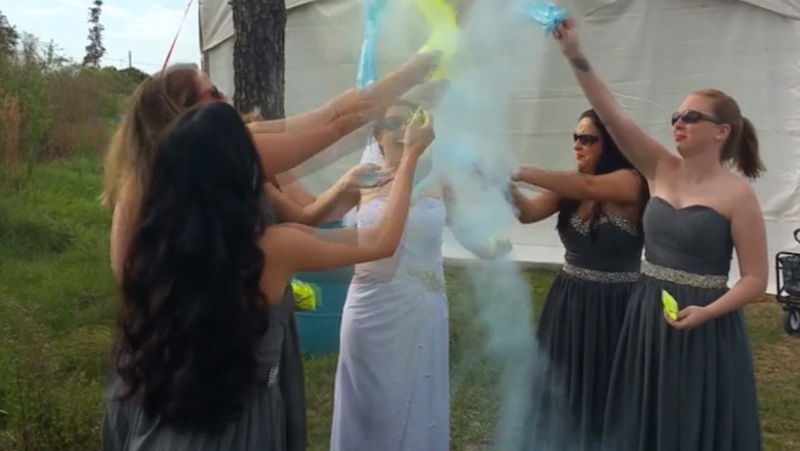 Instead, Manulak wore the gown to Tampa’s Color Fun Fest, where she and her bridesmaids proceeded to stain their wedding attire with rainbow-colored cornstarch. Manulak even went onstage during the event — which was a 5K run celebrating the Holi Festival — to show off her new and improved gown. Contact the author at marie.lodi@jezebel.com.